Most people can agree that solar power is much better for the environment than standard forms of power such as electricity. In fact, a lot of people would probably be more than happy to opt for having homes that are based on solar power for the most part. However, the only problem is that there might come a day that isn’t particularly sunny. There’s also a good chance that there won’t be much sunlight left in the evening when you want to relax after a long day’s worth of work. With that being said, this is where a solar panel battery can come in handy. As you begin to look into the idea of a solar power battery, you might come across the SA home battery scheme. This scheme is simply designed to get the majority of South Australia to use this type of solar battery. In fact, there are even subsidies for people who choose to use the battery. You can save up to $6000 just for the installation of the battery itself and then you can save hundreds of dollars more money per kilowatt hour used. 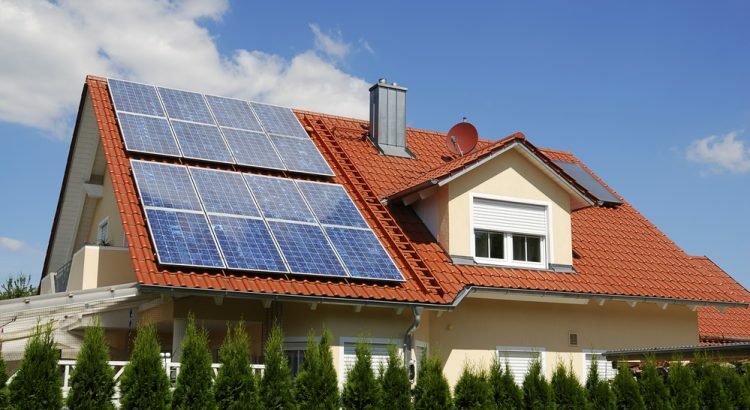 This gives you all the more reason to consider getting a solar panel battery for your home. One of the main complaints that people often have about solar power is that people are generally not in their houses during the part of the day that is the sunniest. A solar panel battery can fix this. The battery is designed to store the energy that it gets from the sun, meaning that it will collect energy during the time when the sun is high and bright in the sky. By the time you come home and the sun is almost setting, you will still be able to rely on solar energy through the use of the battery. The battery will then use the solar energy that it has stored up for whatever you plan to do for the rest of the day. Whether this means that the battery is now powering the lights in your house or the battery is now powering your television, you can rest assured knowing that you are still able to rely on solar energy when you have a solar battery installed in your house. How Can You Benefit From the Subsidy? There are a few things that you will have to consider when you are looking to benefit from the potential subsidies from having the battery installed. For homeowners, a qualified service provider has to be the one who is installing the home battery. Otherwise, you will not qualify for the subsidy. Providers that contribute more to the South Australian economy will be prioritised over other providers, which is something you will need to take into consideration when you are looking for a provider to install a solar panel battery in your house. However, once you have found a provider that can offer this for you, you can begin to save thousands of dollars through the subsidies as well as the fact that you will no longer have to rely on electricity anymore. No matter if you are more focused on helping the environment or you simply want to save some money, the first step you should take is looking into a solar panel battery.